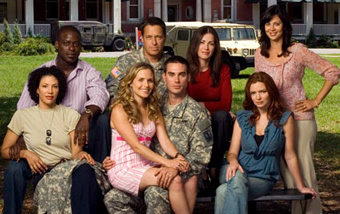 Army Wives definitely should have been renewed! I would continue to watch it if it ever returns. I would love to have Army Wives return. It was my favorite program. I would definitely watch it! My husband and I both would continue to watch it if it was back on. We loved Army wives We also love Cathrine Bell in the Good WITCH.